It is not evident that eighteenth century consuls in Algiers were accommodated by the ruler, as elsewhere on the Barbary coast. 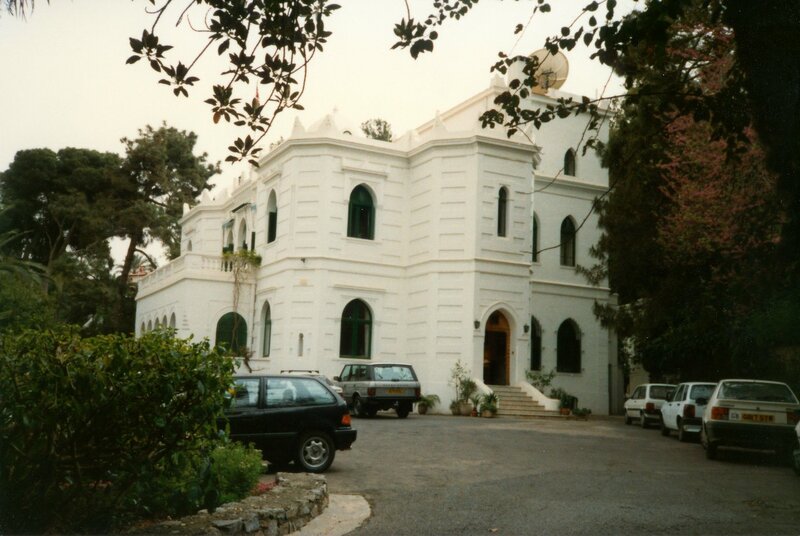 The French occupied Algiers in 1830 and subsequent British consuls-general found their own leased accommodation: the consulate was at four or more different addresses between 1925 and Algeria’s independence in 1962, when its status changed to an embassy. The first ambassador rented Villa Labladji North from the Germain family while the search progressed for something more permanent, preferably with space enough on which to build embassy offices. The search alighted in 1963 on the adjacent downhill property, called Villa Emerald Park in about 0.9 hectare of grounds, which was owned by the same family company, and was bought for £130,000. All private land had recently been nationalised and expatriates were keen to sell for what they could get. The villa was an elegant mid-nineteenth century building at the junction of Chemin des Glycines with Rue Dr Raynaud on the Mustapha Hill, with fine views east over the port and harbour. It was built by baron de Royer, and was bought in the 1880s by a syndicate of British residents who turned it into the English Club, open from November to May each year. General de Gaulle had his office in the house during the Second World War and, in the years prior to its purchase, it was being used as the Germain Estate Office. It was in poor condition and ingoing works costing about £35,000 were completed in December 1965. Diplomatic relations had by then been broken and so the house was not occupied by a British ambassador until their resumption in June 1968. 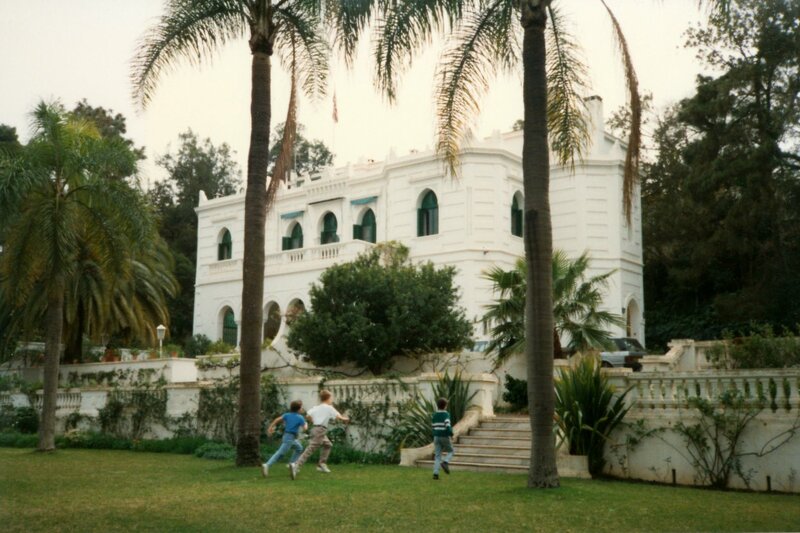 The Algerian authorities agreed in principle at the time of the purchase of Villa Emerald Park that embassy offices could be built in its grounds. What were intended as temporary offices were therefore leased nearby in converted apartments in a recently-built multi-occupancy block called Residence Cassiopée at 7 Chemin des Glycines. The urgency to build new offices at Villa Emerald Park fluctuated during the next twenty years as road-widening schemes and pressures to move to a new diplomatic enclave outside Algiers came and went. Leases on Residence Cassiopée were therefore successively renewed. The first serious attempt to design offices at Villa Emerald Park was not until the late-1980s but that proposal fell away through lack of support. In 1992, the landlords of Cassiopée, UNIAL, served notice to quit and this set legal arguments in train, after which a vacation date was agreed, and the offices moved into other temporary premises [British Council building?]. In 2004, spurred by physical security concerns, a new project was launched for offices in the Villa Emerald Park grounds. 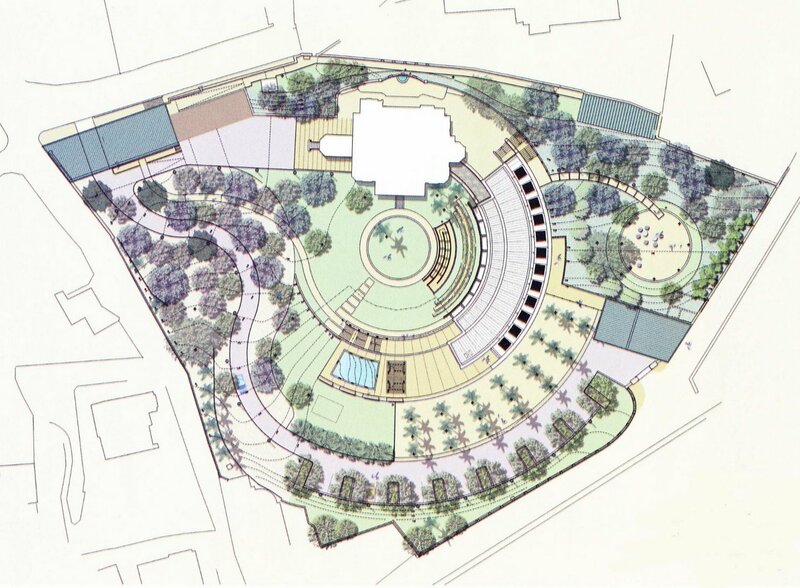 John McAslan and Partners won the commission for the design with a layout plan that skilfully exploited the sloping garden site and respected the residence building. 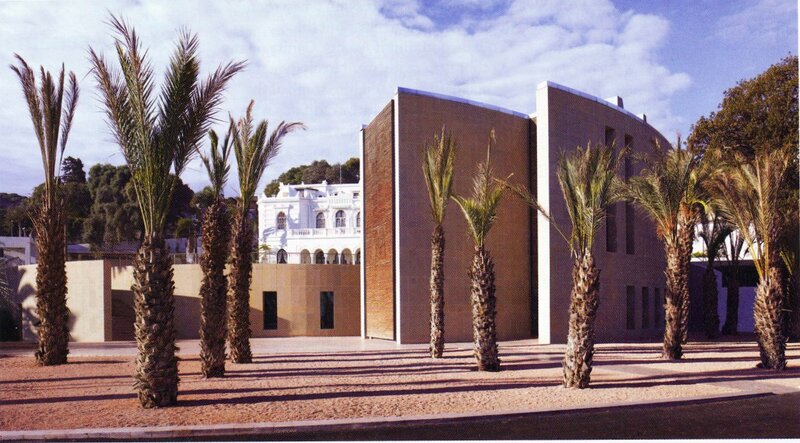 The offices are a three storey hollow quadrant centred on a circular lawn in front of the residence, and clad in a fine buff sandstone (sourced from China) with elegant twisted vertical timber sunscreening of weathered guariuba. Mace International was the project manager and main contractor, with Byalge the main subcontractor. The building was completed in 2009. Residence approach, from the north,1990. Residence garden front, from the west, 1990. Plan of residence and office grounds, 2008. 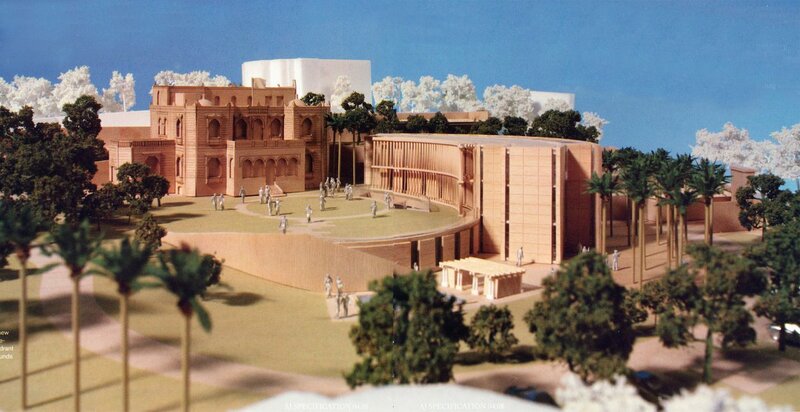 Model showing relationship of proposed new offices to residence and site levels, c.2007. New offices, with residence behind, 2009.